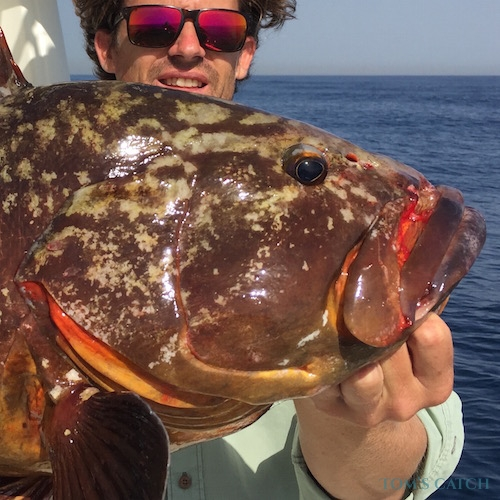 You’ve heard of the beaches, the gorgeous water, the luxurious resorts, but did you know that there is amazing sport fishing in Playa del Carmen and the Riviera Maya? 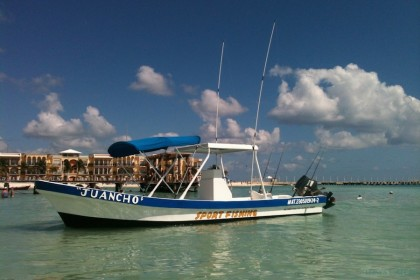 The Yucatán Peninsula is a unique geographic zone which has access to both the Caribbean and the Gulf of Mexico, creating the perfect conditions for non-stop deep water sport fishing AND out-of-this-world flats fishing. 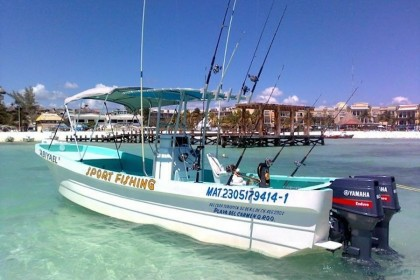 Along the Riviera Maya, from Isla Mujeres down to Cozumel, fishing opportunities abound. The Yucatán Channel between the Yucatán Peninsula and Cuba is 120 miles wide and 2800 ft deep, and it is a major highway for pelagic fish species migrating to and from the Gulf of Mexico throughout the year. 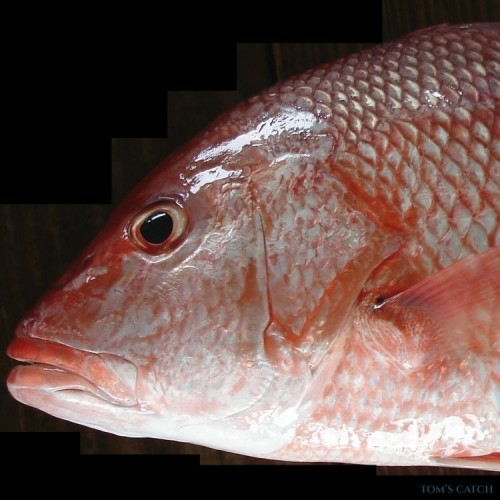 Another channel, this one between the island of Cozumel and Playa del Carmen, is also a major thoroughfare for game fish species. The entire coast lies along the edge of a large underwater valley, which provides easy, quick access to offshore fishing. 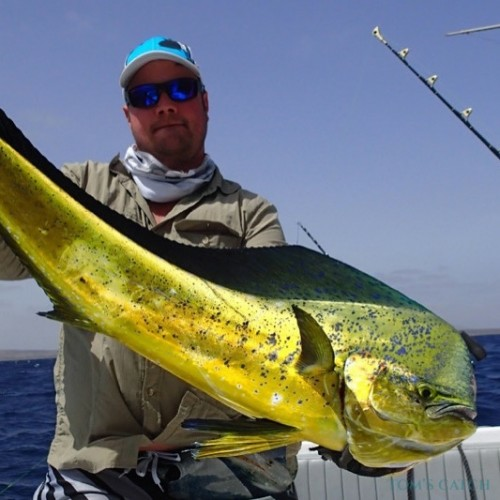 The migratory route from the Caribbean to the Gulf, where many fish species mate and spawn before returning to the Atlantic, runs right through the Yucatán Channel, and right where the channel narrows to a funnel at Cabo Catoche the catch is always good. In February anglers flock to Isla Mujeres, Cancún, and Cozumel for white marlin, until late spring. 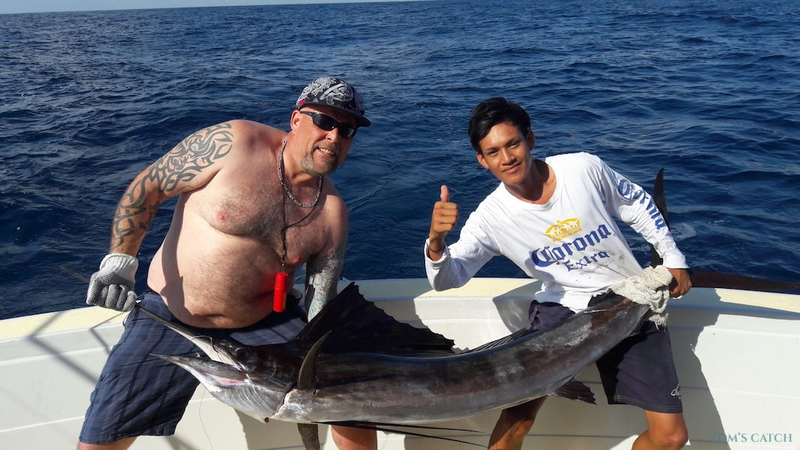 From the months of March through July, Sailfish and marlin are abundant off of Playa del Carmen as they migrate in spring and summer. 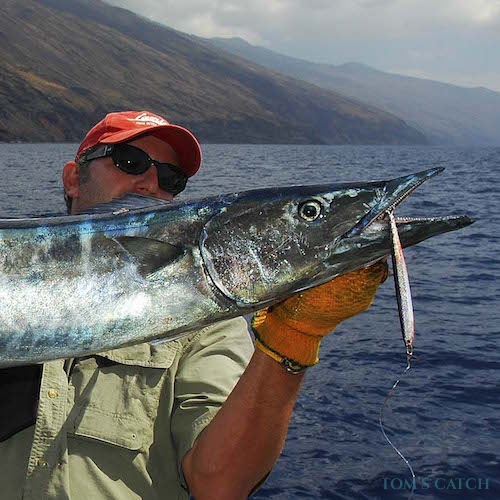 This is one of the rare places in the world where you can catch a Grand Slam of billfish all in the same day! 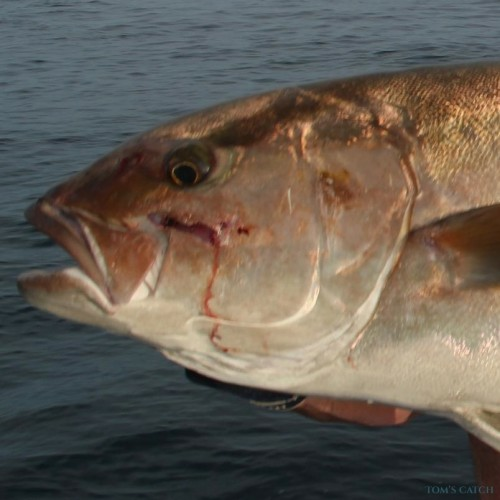 But, billfish are only one of the area’s many draws; truth is that anywhere along the coast fish are certain to be biting, unless a cold thermal has driven them south to warmer water. October is prime time for swordfish in the Yucatán Channel, and off of Chinchorro and the offshore banks farther south in Quintana Roo. 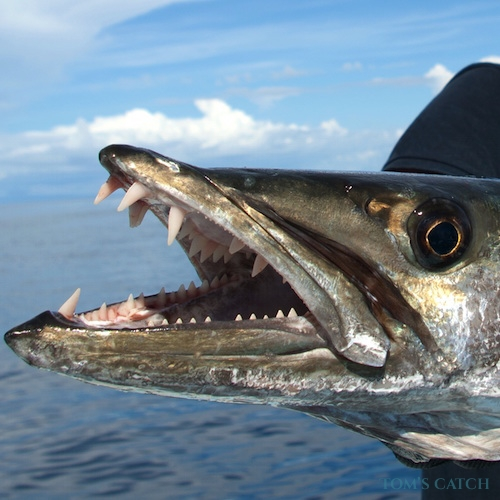 Then in December and January migrating Atlantic Sailfish gather in the Yucatán Channel off of Isla Mujeres, chasing schools of baitfish heading into the area— and the bite increases as spring approaches! Playa del Carmen is not known for its flats or shore fishing, but you can definitely toss a line out from the beach, as long as you stay south of the hotels, and 250-feet away from swimmers. 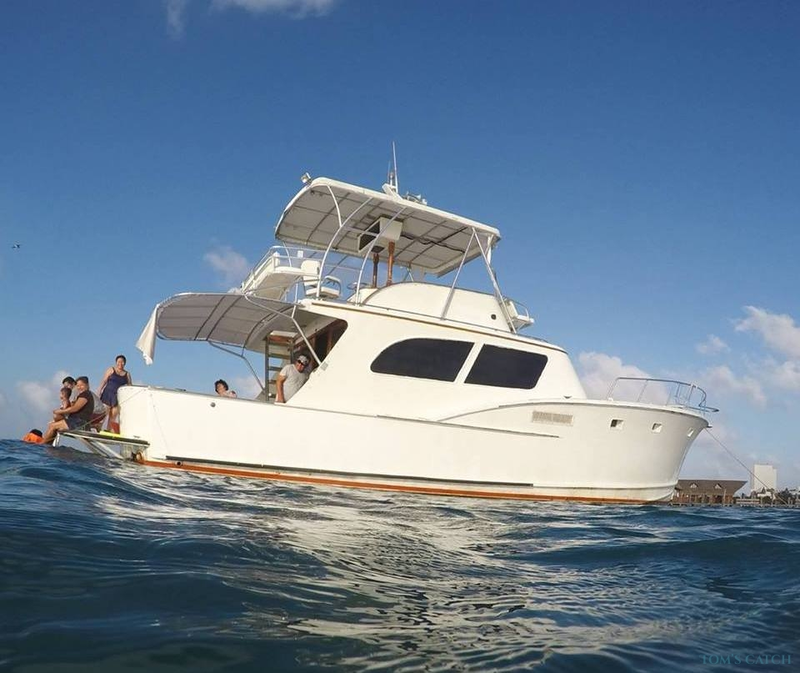 The waters south of Playa del Carmen towards the Sian Ka’an Biosphere Reserve, all the way to Asención Bay are a haven for fly fishermen and inshore fishing. 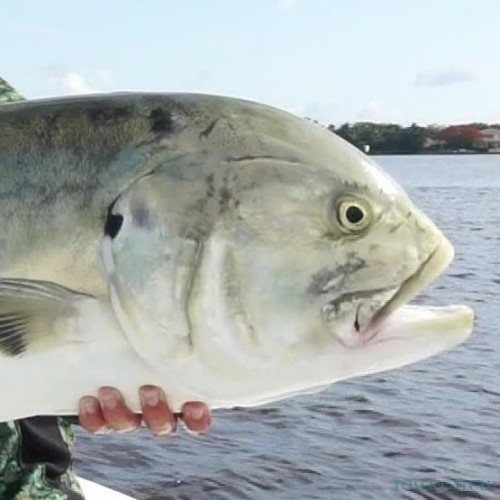 This area boasts of several world famous fly fishing resorts, perfect for that special vacation you’ve always dreamed of— days full of chasing bonefish, permit, tarpon, yellowtail, trout, barracuda, and jack crevalle. 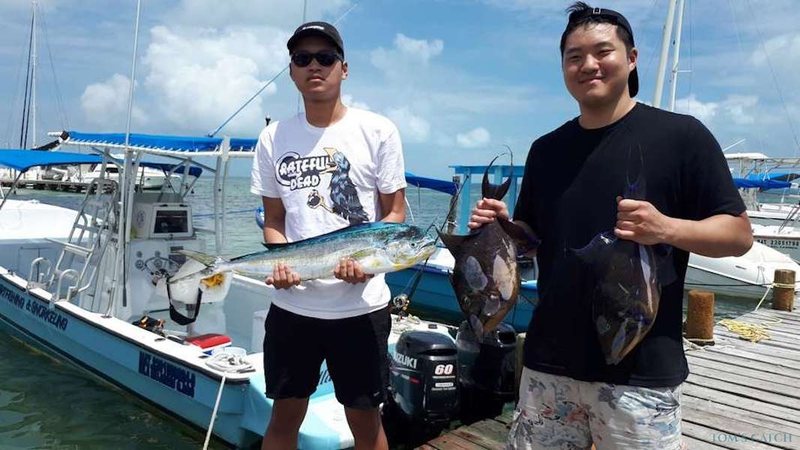 Some resorts cater to specific areas and specific fish such as tarpon and permit— so if fly fishing on the Yucatán Peninsula is your dream, there are many places to make that happen. As in other parts of Mexico, bring your own fly fishing gear, although there are shops and gear available in some of the larger resorts. 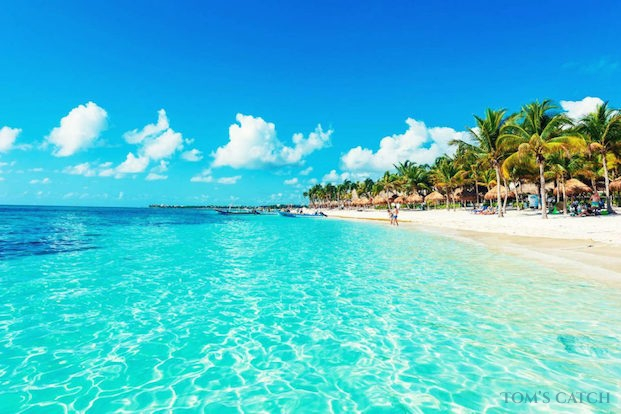 Playa del Carmen and the Riviera Maya are a Caribbean beach paradise, and one of the best places to enjoy the beach and water sports! Take advantage of the crystal clear turquoise waters and go paddle boarding, kayaking, snorkeling, scuba diving, parasailing, and plenty of other fun adventures! Visit an Underground River— Rio Secreto (or Secret River) is an underground river and collection of caves with turquoise-blue water winding through rock formations within the caves, which include stalactites and stalagmites. Visitors can swim in the river, climb through the caves, learn about local Mayan culture, and enjoy the natural beauty of the area. Bonus: it’s a great rainy day activity. Golfing is a popular in Playa del Carmen, it boasts three premiere golf courses, and many tourists come down from Cancún to golf here. The most popular courses are Golf Club Playacar, Grand Coral Golf Riviera Maya and El Camaleón Mayakoba Golf Club— the former is considered a gem of a PGA course. Explore Mexican and Mayan Culture in Tulum— it would be a shame to travel to this part of the world and not see some of the best preserved Mayan ruins, and the natural beauty of the Sian Ka'an Biosphere Reserve. Just south of Tulum, the reserve contains more than 1.2 million acres of estuaries, reefs, cenotes and wetlands. Within the park, you can take tours of the local wildlife, take part in a diving or snorkeling tour or simply just walk around the beautiful and expansive park. Also on the south side of Tulum are the Pre-Colombian Mayan ruins, which feature temple and castle ruins and beautiful scenery.